Ski lodge cafeteria food has a reputation for being as bland as it is overpriced. You can only pay $20 for chicken fingers and fries so many times before wanting to revolt. Still, many longtime powderhounds never thought they’d see the day when their favorite hill embraced the concept of decent meals. But the times are changing. North American ski resorts are finally learning from the best European ski resorts and putting some thought and effort into the food. For guests who already paid upward of $150 just to be on the mountain, it’s nice to finally have some good options. These resort restaurants are serving up delicious — and creative — meals, so go ahead and leave that PB&J at home the next time you hit the slopes. Burritos, craft booze, and a food truck. The Snowlicious Mobile Kitchen parked in British Columbia’s Panorama Mountain Resort combined three trendy favorites to create a dining experience sure to please any shredder in your crew. There’s even sparkling wine if you feel like toasting to how awesome your on-mountain lunch is. Snowlicious makes its way around the resort throughout the day, so you may have to search a bit if you aren’t lucky enough to finish a run with the mobile kitchen waiting for you at the bottom. 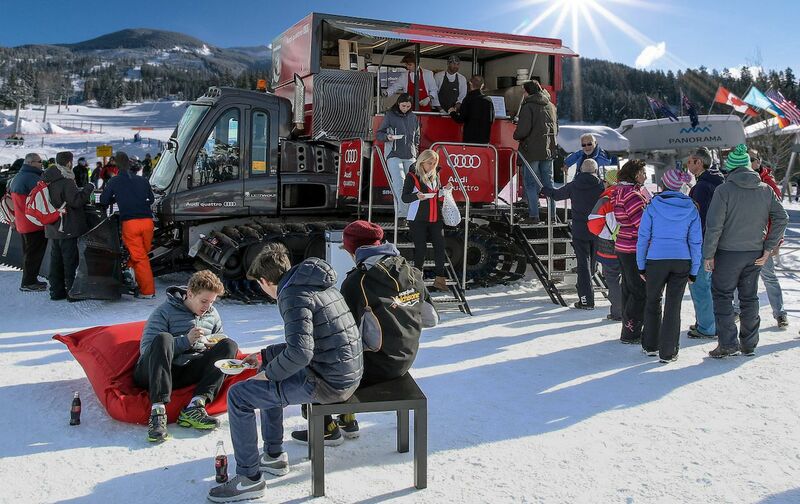 While it’s not the first mobile on-mountain kitchen in the world (Mammoth Mountain in California did it in 2010), you won’t find Champagne and burritos paired together on any other slopes. There are two options at Utah’s Solitude Resort: You can munch on the usual suspects at the base lodge, or hold off and work up an even bigger appetite by snowshoeing about a half mile further to get to The Yurt. Here, the resort’s chefs prepare a four-course meal with optional wine and beer. It’ll cost you $140 per person, and reservations are required since there’s only room for 24. The price tag includes a snowshoe guide, dinner, and corkage fee. Stuff a bottle of wine in your pack before heading out rather than buying your drinks at The Yurt. No word better describes Squaw Valley than “gnar.” Located on the west side of Lake Tahoe, the resort’s terrain is among the most challenging in the country. Which makes a challenging burger feel just right. At Rocker, a restaurant in the base village, there’s a G.N.A.R. 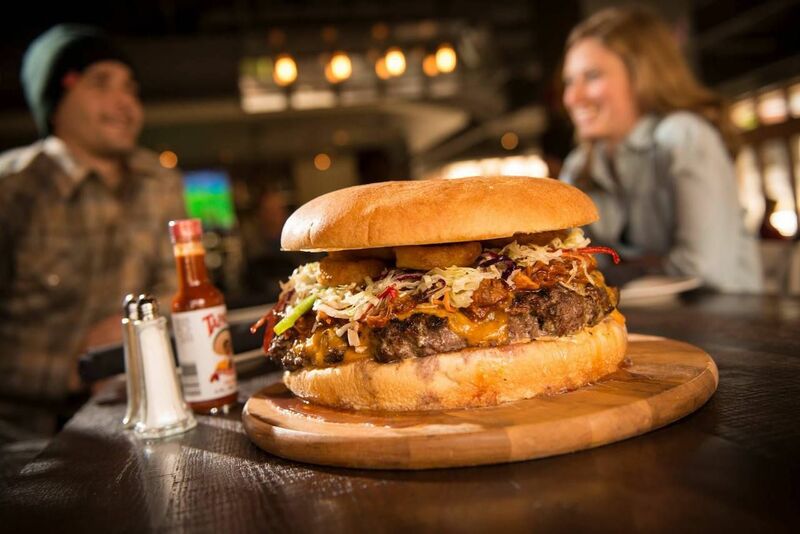 burger made with five pounds of beef, pulled chicken, and pork that’s topped with coleslaw and onion rings. It’s named after local legend Shane McConkey and his eponymous film of the same name. It runs for $53, but in the grand tradition of ultimate food challenges, the burger is on the house if you work all the way through it. Whistler Blackcomb has many things going for it that no other ski resort does. Riding the Peak 2 Peak Gondola between two mountains, for instance, is an experience on par with flying in an airplane for the first time. Another thing is the food. The resort has the Winemaker’s Apres Series at Steeps Grill and Wine Bar, which pairs local wines from British Columbia’s own Okanagan Valley with a multi-course dinner. Once a month during ski season, Steeps serves a locally sourced menu paired with the wines of See Ya Later Ranch, Nk’Mip Cellars (Canada’s first indigenous-owned winery), and others. The restaurant also partnered with Vancouver chef David Hawksworth to offer the Hawksworth & Steeps pop-up lunch series, a monthly three-course interruption to otherwise normal ski days. Ragnar’s at Steamboat is a restaurant that pays homage to the town’s ski-crazed history, which began with the arrival of Norwegian Carl Howelsen more than 100 years ago. Howelson popularized not only skiing, but also ski jumping. Today, Steamboat is a primary Olympic training ground. Chow down on seafood chowder and köttbullar before watching the madness of two-plankers flying hundreds of feet through the air at Howelson Hill. If you’re feeling classy, go for Ragnar’s five-course sleigh ride dinner on a Friday or Saturday night. Opened in 1939, Sun Valley’s most popular restaurant, the Roundhouse, was the nation’s first on-mountain dining experience at a ski resort. 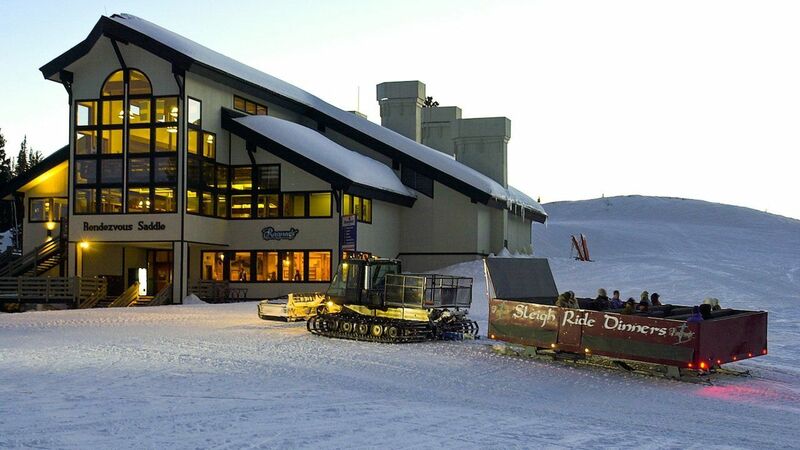 Today the Roundhouse serves fondue, steak frites, and hot lobster rolls to skiers. If you get there early enough you may find a spot to warm up by the massive stone fireplace. This spot is a draw even for non-skiers looking for a scenic view of the surrounding mountains and the town of Ketchum down below. Those pesky ski boots always get in the way of basic activities like walking. It’s a non-issue at Vail’s on-mountain lunch restaurant The 10th, named in honor of the legendary 10th Mountain Division infantry, because the restaurant gives you a pair of slippers to wear. 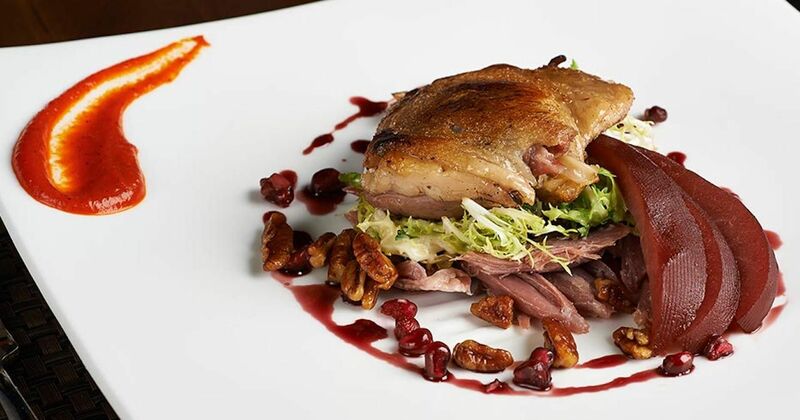 While so much attention is given to the furry foot warmers, the food is equally impressive. It’s difficult to choose between elk chili, bay scallops, and Wagyu tenderloin. Make a reservation to guarantee yourself a table and a pair of slippers in your size.